VEROFIT® covers all the specific needs of athletes and active people. 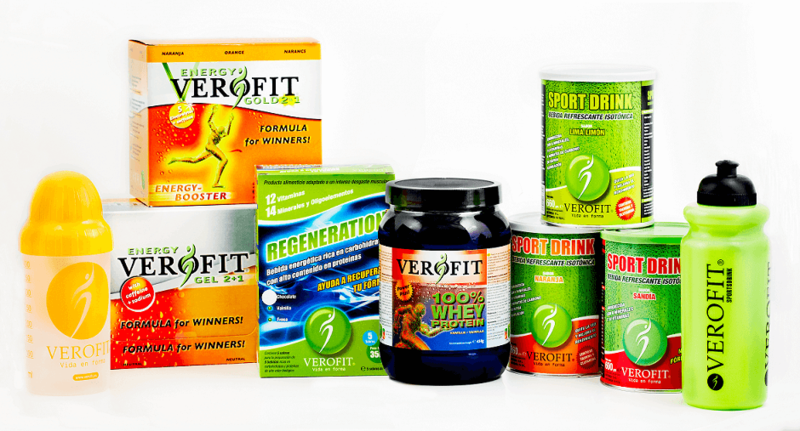 The full SPORTDRINK.ES by VEROFIT® range of sports nutrition is highly valued by athletes and teams from various disciplines such as the champions of the Swiss and Austrian football leagues in 2011. European, world and Olympic champions in disciplines as varied as handball, beach volleyball, hockey on wheels and grass and, already in our country, motorcycle riders, triathletes, surfers and handball teams. The experience acquired with elite athletes allows us to offer VEROSPORT® Active Line products with full guarantee to improve the performance of the professional athlete, the amateur athlete and any person who performs intense physical work or in demanding conditions for their body. Athletes and, in general, people who make intense and prolonged physical efforts, consume more energy, perspire more, use more muscles and need more vitamins and minerals. In these cases, correct nutrition is appropriate and adapted to the effort made. Maybe you are a professional athlete, or you play sports to feel good, compete, lose or control your weight, or to socially relate. In any case, the VEROSPORT range can help you to refresh yourself healthily or to make the most of your activity.